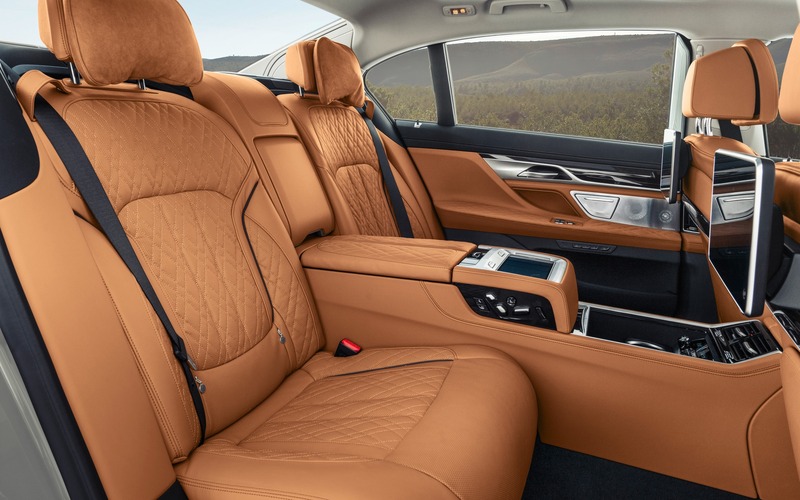 BMW has updated its flagship 7 Series sedan for the 2020 model year, which will go on sale in April, with refreshed styling, new powertrains and new high-end technologies. Changes to the 7 Series’ exterior design extend to the hood, the headlights, the bumpers, the front fenders and the taillights. The sharper, taller grille now bears a stronger resemblance to the one found on the 2019 BMW X7 SUV, which will soon be on sale. Said grille gets an aluminum satin finish, with a blacked-out treatment when the M Sport package is ordered, while the M760Li xDrive variant’s grille is finished in Cerium Grey. Slimmer, full LED headlights and taillights are now standard, and BMW Laserlight headlight clusters are available as an option. New paint colours are offered, as is redesigned alloy wheels ranging from 19 to 21 inches in size, wrapped in all-season or summer performance tires. The 750i and 750Li get the newest generation of the twin-turbo, 4.4-litre V8 that’s also found in the new BMW 8 Series coupe and convertible. It produces 523 horsepower as well as 553 pound-feet of torque between 1,800 and 4,600 rpm. BMW claims a 0-100 km/h time of 4.0 seconds. The range-topping M760Li flaunts a twin-turbo, 6.6-litre V12 engine that belts out 600 horsepower and 627 pound-feet of torque. 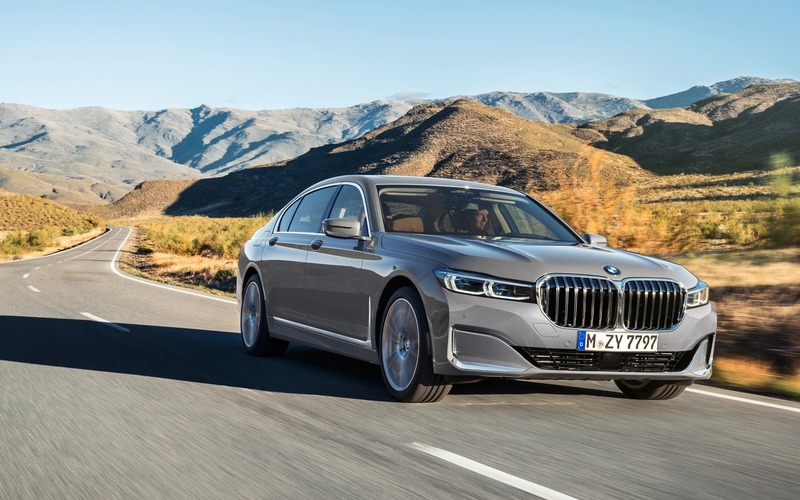 The 745Le is the new plug-in hybrid variant of the 2020 BMW 7 Series, equipped with a turbocharged six-cylinder engine, an electric motor and a 12-kWh lithium-ion battery pack. Combined output is rated at 394 horsepower and 442 pound-feet of torque, allowing the PHEV to hit 100 km/h in 5.1 seconds. EV driving range hasn’t yet been announced, but it should be significantly higher than the current 740Le’s estimated 23 km. Every 7 Series sold in Canada will boast all-wheel drive, an eight-speed automatic transmission and a two-axle adaptive air suspension. Integral Active Steering, which includes a rear-wheel steering system, is available as an option, as is Active Comfort Drive with Road Preview, which adjusts the suspension in real time to make BMW’s flagship even more comfortable. Pricing for the 2020 BMW 7 Series will be announced closer to the car’s on-sale date.